In 1970, Tyneside musicians Bob Purvis (born: 31 May 1950) and Bill Elliott (born: 28 July 1950) played live for the first time as a duo singing two songs 'Wondering Buck' and 'How It Really Feels Inside.' They then got together with a couple of other guys and formed a band called Stone Blind, played a few gigs and made some demo tapes. 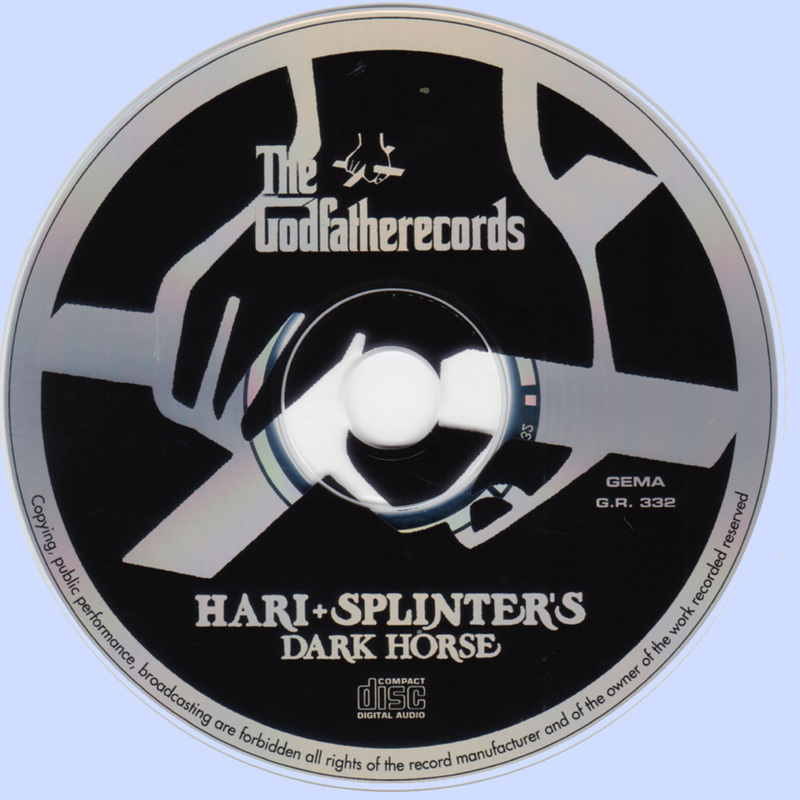 Rob Hill became their manager and sent the tapes off to record companies. In the meantime, Stone Blind changed their name to Half Breed, before going on to produce more demos. Mal Evans, The Beatles' former road manager and producer of a number of the Apple acts, was in Newcastle at the time and produced more demos with the group in David Wood's Impulse Studios, in Wallsend. These were taken back to Apple and made into a demonstration album. Bob Purvis, who was in Half Breed as a songwriter, found it hard to pretend he was enjoying himself; to be honest, there were lots of bad feelings, so exit Bob. The upshot of all this was that Apple wanted the singer (Bill Elliott) and the songwriter (Bob Purvis), but they would not buy into the group. Mal got Bill Elliott a job singing 'God Save Oz' (which was changed to 'God Save Us'), a John Lennon and Yoko Ono song, for the benefit of Oz magazine. Bill handled the song really well, but it was a very controversial issue and he didn't get a fair crack at it [chart success]. There were rumours he was in line for another song, but nothing came of this. Half Breed changed its name, for one week, to the Elastic Oz Band and went on tour in Scotland promoting the song. Bill was still loyal to the band, but on their return, it was obvious that something was wrong. Mal Evans wanted to take Bill and Bob under his wing and manage them, however, they already had a manager in Rob Hill. Eventually, in mid-1971, Rob, Bill and Bob decided to get a whole new band together. The band was called Truth. Now everyone seemed far happier because Truth was a far tighter band with professional musicians. Bob carried on as a songwriter while Bill took over the lead vocals. For the next six months, Truth played continuous gigs and to Bill and Bob, the band was a breath of fresh air. The Truth was out there! However, things changed again when Bob Purvis decided to leave the band to their own devices and strike out on his own career as a singer/songwriter. Bob moved down to London in July, 1972, and Mal Evans became his manager. He worked with Tony Visconti making demos and wrote songs with Mike Gibbins of Badfinger. Bob married Marilyn, his girlfriend of two years, on July 29, 1972; they had a basement flat near Hampstead Heath for a few months and to make ends meet, he also did a bit of session singing to make a few quid. It was also in these months that Rob Hill, Bob's ex-manager and lifelong friend, came to stay, along with his girlfriend Anne. Rob was still Bill's manager and suggested that the two of them should get back together. (Rob eventually became Splinter's manager and, it is fair to say, without him Splinter would never have happened). Bill had been very disillusioned with music and life at this time. He was also missing Yvonne, his girlfriend, who was living abroad. His band Truth wasn't going the way he had planned, and for awhile he thought about giving it up altogether. Bob Purvis knew that with Bill on-board, prospects would be better. It had worked in the beginning, and it could work now. Bill and Bob never had to try too hard to sing together; they naturally complemented each other. One would take the harmony, one would take the lead and vice-versa. It would be hard to tell them apart on record, but Bob admits that Bill had the most amazing country singing and ballad voice and Bob's songwriting would be tapered with this in mind. Bob was also a natural singer, but Bill really kept him on his toes, so it was agreed that there would be no-one but Bill -- no bands with massive egos or hangers-on who came along for the milk and honey. Splinter was the name and together, they were the perfect match. 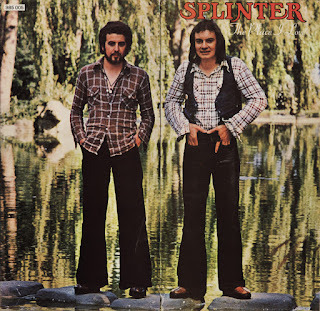 Splinter were about songs and singing; they both sang and both wrote. Bob played 12-string guitar and Bill played mouth organ. 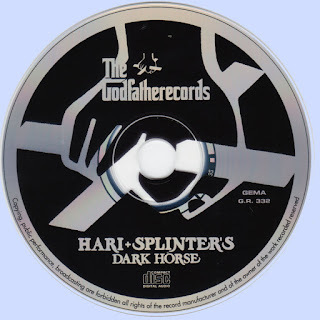 Things quickly moved and in the next few months they were offered deals by Tony Visconti, Threshold Records (label for The Moody Blues) and Apple. Apple wanted the duo to appear in a John Hurt, David Warner film called 'Little Malcolm and his Struggle Against the Eunuchs.' The song they were going to record was a Cat Stevens song called 'How Can I Tell You', but when they heard a song that Mal Evans and Bob Purvis wrote called 'Another Chance That I Let Go' (which eventually turned into 'Lonely Man' and was featured on their second album, 'Harder to Live'), they used the song as the theme music. 'Lonely Man' is the only song Bob and Mal ever wrote together, but Bob is quick to point out that Mal wrote some very good lyrics on this piece. George Harrison of The Beatles liked the song and wanted to hear more. 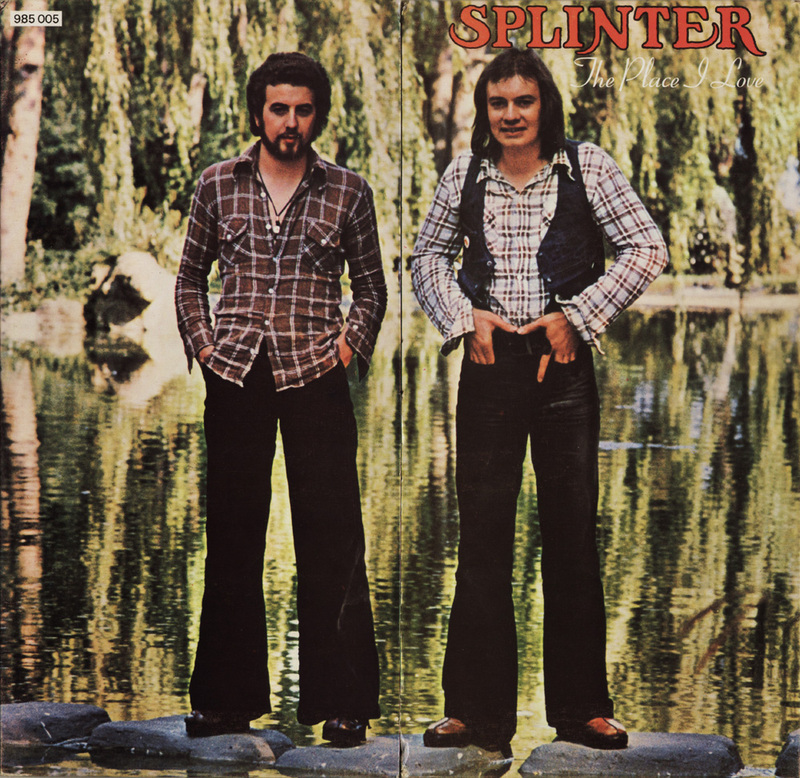 Splinter signed-up with George and Dark Horse Records (distributed by AandM) in 1973 and made their first album ('The Place I Love') in which Bob recalled: "We both sang our hearts out. It took over a year to make the album and we are both very, very proud to be associated with such a great man and a fine album." This is a gem, if you like the quiet Beatle, grab this!